Bittele Electronics offers Functional Testing (FCT) with its turn-key assembly services. Functional testing usually is performed after the circuit boards are assembled and AOI & visual inspections are finished. Early testing allows us to find and correct component failures, assembly defects or potential design issues at an early stage and make troubleshooting as quick as possible. Finally, customers can deliver a perfect product to their clients in a short time frame. Functional testing is done mainly to avoid assembly issues including shorts, opens, missing components or the installation of incorrect parts. 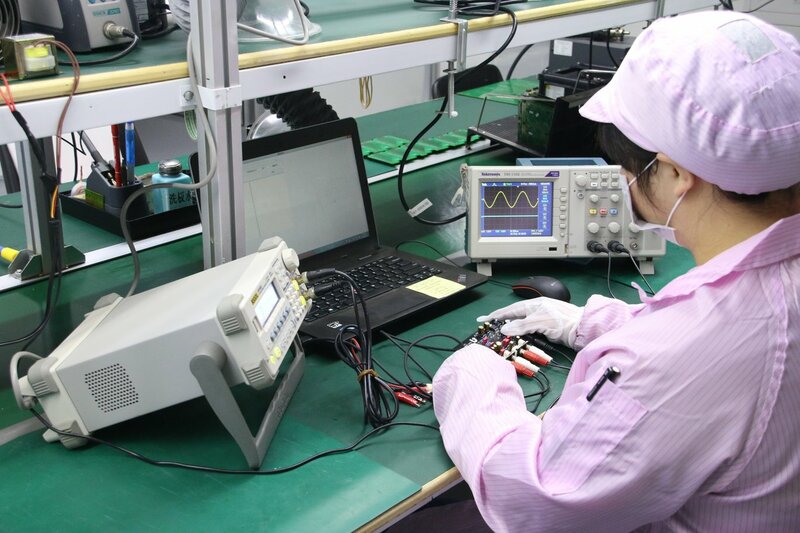 At Bittele, we are equipped with an adjustable DC power supply, a 200MHz digital oscilloscope, a signal generator, an LRC multi-meter and a universal programmer. This covers most embedded system testing. The test results can be either collected by a computer or recorded manually. If the board does not pass the testing, a troubleshooting program will be launched to find the root cause of the failure. A Design For Assembly (DFA) form will be issued by our process engineer and an 8D quality assurance report will be created by our quality engineer. The DFA report will be sent to the customer as a design reference. The latter will become our quality improvement guideline.